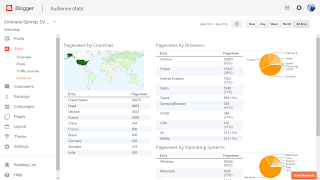 Colorado Springs EV Club: We're international, folks! 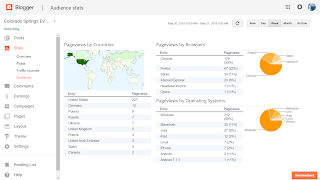 As the website administrator, I keep track of our blog and it's activity. 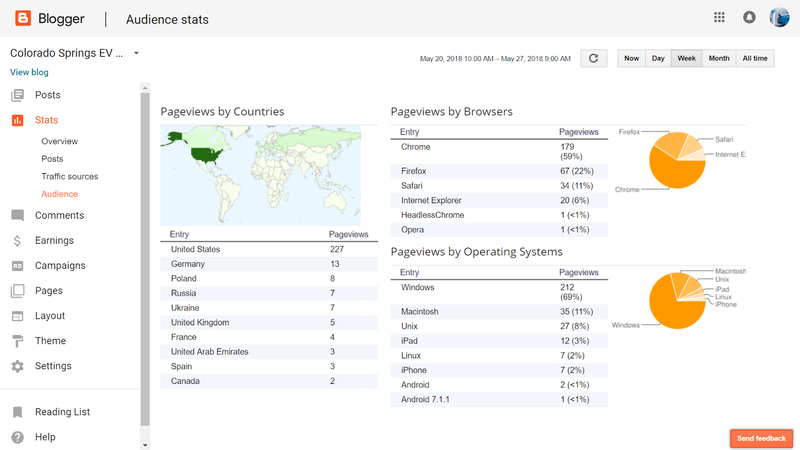 I am surprised to see that Europe - Poland and Russia - have people that view our website this week! Interesting, huh? 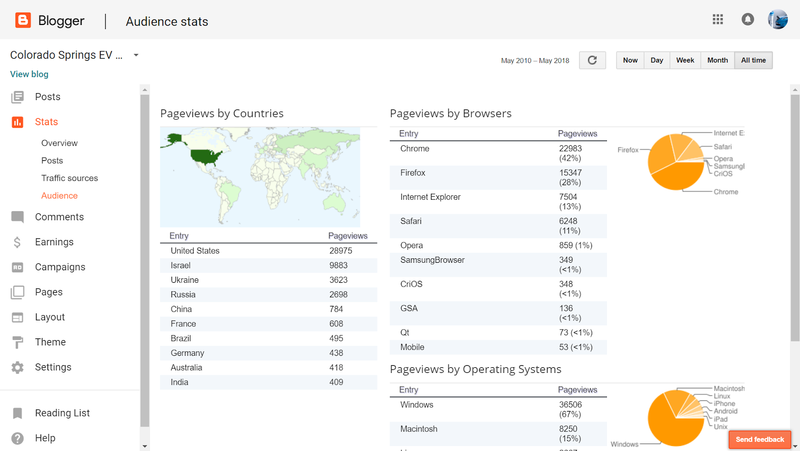 And when viewing our all-time stats (last photo), Israel is our second highest source of visits!